The American Foundation for Suicide Prevention (AFSP) estimated in a 2007 report that about 1,100 suicides each year were college related. the 2005 National College Health Assessment found that 25 percent of 17,000 surveyed students admitted to feeling “so depressed it was difficult to function” three to eight times during that surveyed year. Where did the college atmosphere of “Animal House” and “Van Wilder” and “Old School” disappear to? When did it funnel down like copious amounts of alcohol into the deep, dark belly of depression? In the movies, a college student's biggest worry is whether he'll have to ruin his bedsheet for a toga and sleep on the bare mattress all semester. In real life, the world is severely altered. Bedsheets are superfluous when a final project due in December looms heavily even in August. “Many students find college more academically demanding than they anticipated and feel stressed or anxious about not performing well,” reads an article on Lifespan.org concerning collegiate depression. Timothy Peterson, PhD, a clinical and research psychologist with the Rhode Island Hospital's Mood Disorders Program expounded on the worry in the same article. In Marissa Miller's October 2009 article for the Diamondback, the University of Maryland's campus newspaper, Richard Winter, PhD, author of “Perfecting Ourselves to Death,” blames mainstream America for the pressure of perfection. “American culture bombards students with images and solutions for becoming 'perfect,' which leads them to believe that they also need to be perfect,” he is paraphrased as saying. This incessant strive for the unattainable leads to tremendous stress on college students, and in turn, affects their school work. 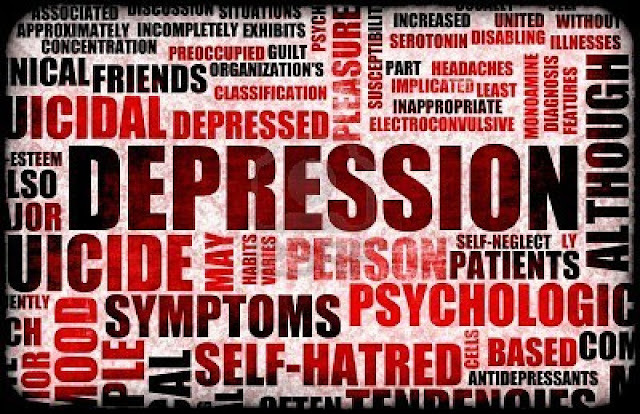 In a fall 2008 health assessment by the American College Health Association, 11.2 percent of 26,000 surveyed students said that depression affected their academic performance. Lifespan.org lends an air of escapism to alcohol and drug use among depressed collegiates. They're a Band-Aid fix. For the night they can take away everything, but in the morning all the problems will be back, beating an uncontrollable tattoo against the imbiber's skull and slugging him with papers. There's a reason a sports bar near the University of Louisiana at Lafayette runs a Wednesday special of dollar burgers and hot dogs. College students are always notoriously broke. Some students work full time to support themselves and sometimes families. Tuition just keeps rising, so paying for school becomes a worry. Dollar burgers are only on Wednesdays, not Sunday, Monday, Tuesday, Thursday, Friday, and Saturday, as well. The financial burdens on students, added to the academic stress, lead to a swamping of epic proportions on the psyche. Most colleges offer counseling. Not just course advising, but real counseling to aid students through particularly rough semesters. Campus organizations also step up, allowing members a chance to vent to friends and find help in a familiar setting. The AFSP's College Screening Project's findings support the services offered by the university community. The study discovered that students who spoke with counselors, even online, experienced a therapeutic effect. So, where did Van Wilder run off to in the years since his partying peak? Did the Animal House-esque fantasy burn down? No, they were both possessed by an oppressive university yes-man with a penchant for neurosis. It's time to sit back, pop some popcorn with a roommate and let John Belushi teach today's students what college is all about.